We've barely had time to catch our breath after the shattering impact of 'The Bomb', Drumsound & Bassline Smith's huge collaboration with Tantrum Desire. Even so, the Technique bosses are already back with a four-track EP containing ammo straight from their tried and tested dubplate armoury. The title track 'Booyaka' opens in an unsettling landscape of retro sci fi tension, as pads and bleeps ride the building percussion. The approach of mayhem is signalled by thunderclap kicks exploding through the system, and it's time for all real ravers to step forward. Surging waves of bass crash into the dance, and as Drumsound & Bassline Smith add evolving layers of breaks into the mix to hype things further, it's game over. 'Unity' is infused with the flavours of jazz, soul, and funk as horns, keys, guitar licks, and vocal stabs set the tone in the intro. Just in case you were expecting some laid-back liquid groove, though, DBS quickly dispel that idea with a kick-build that delivers us right into high-energy mode. Those infectiously bubbling basslines and rolling drums could only have come from producers steeped in the jungle foundations. This is a classic-style roller that's perfectly configured for 2019 dancefloors. Next, the soaringly epic opening of 'Straight from the Underground', made from subtle hints of percussion and sweeping choral timbres delivers a hands in the air moment that's going to have deejays everywhere wheeling up to run it from the top. When Drumsound & Bassline Smith suddenly throw in an angst-inducing discord and a dramatic build that drops into twisting and modulating bassline savagery, absolute banger status is assured. 'Mash it Up' is a stone-cold killer. Militant drums and anthemic orchestral chords immediately let us know this is warrior music. Drumsound & Bassline Smith aren't playing. As the eponymous vocal clip leads us into the drop, we're assaulted with a multi-strike combo of evolving basslines and break-laden drums. Taking elements from jungle and neuro, they've created something fresh that's going to hurt you whatever your sub-genre of choice. You're going to want to check this. 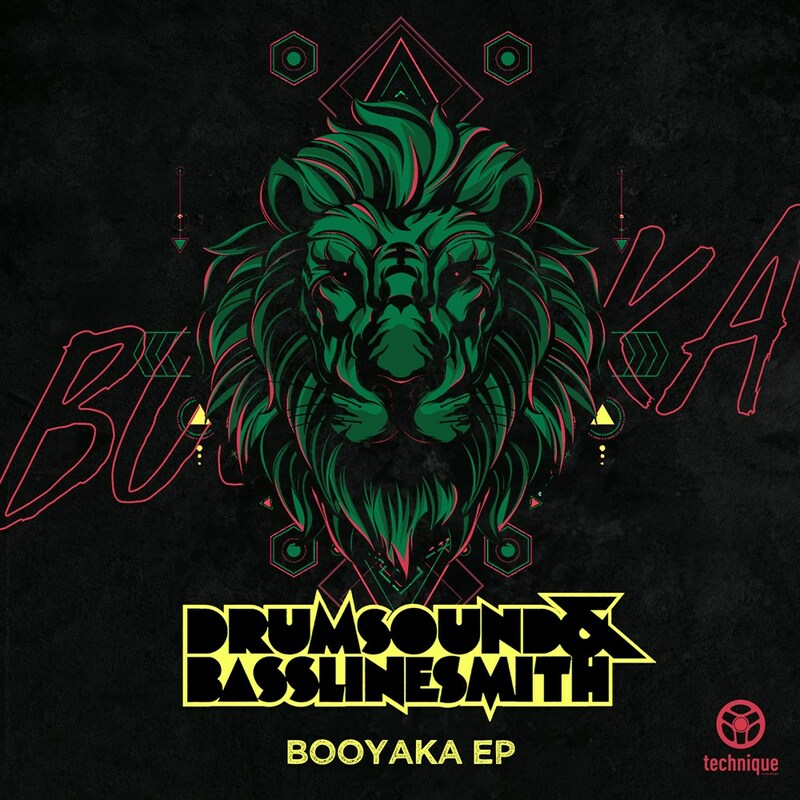 Drumsound & Bassline Smith's precision-tooled basses and high-energy break deployment are well known, and their craft really comes to the fore on this EP. There's high-level studio science at work here, married perfectly with a natural, raw, junglist vibe. That's why the 'Booyaka EP' is going to connect with real DnB heads everywhere.